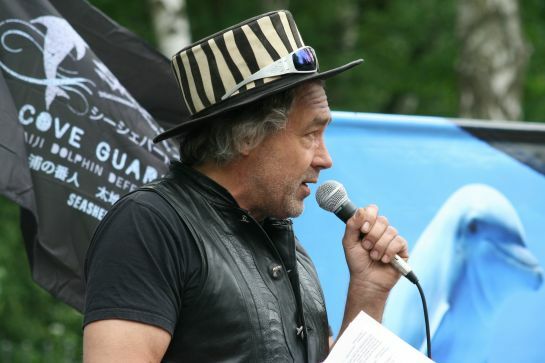 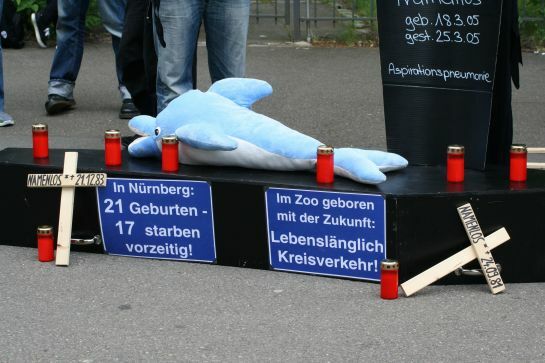 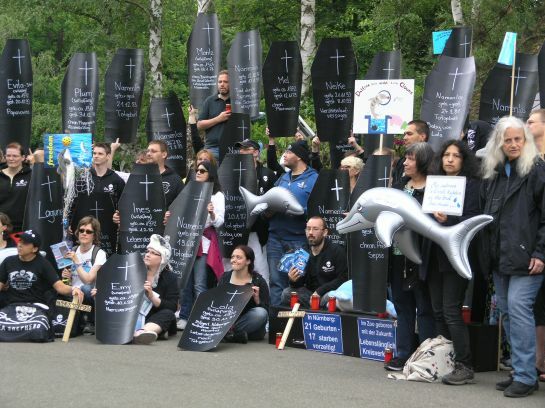 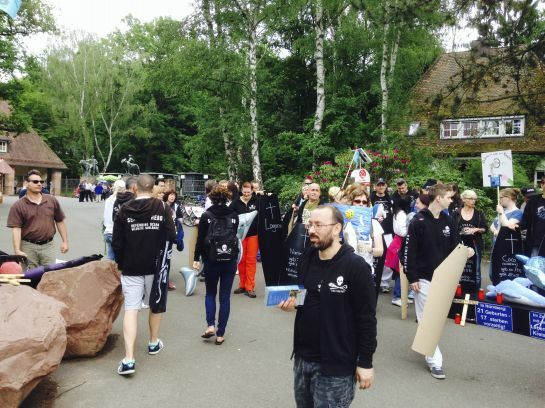 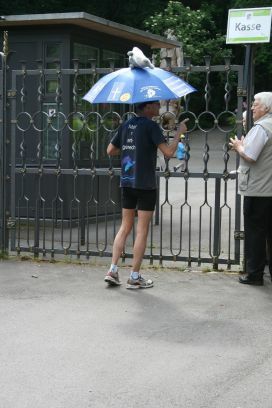 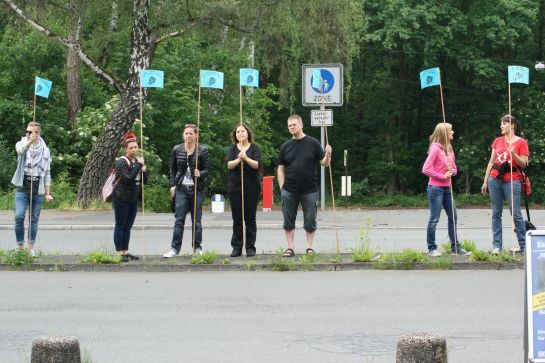 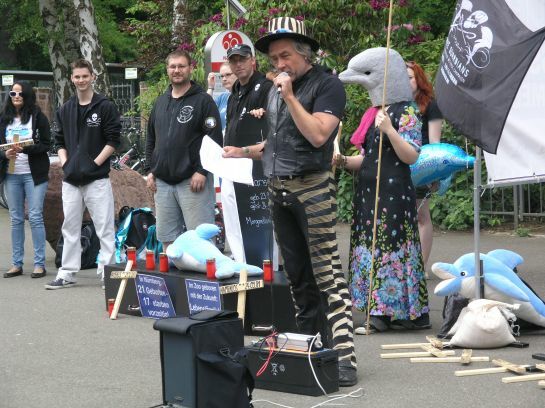 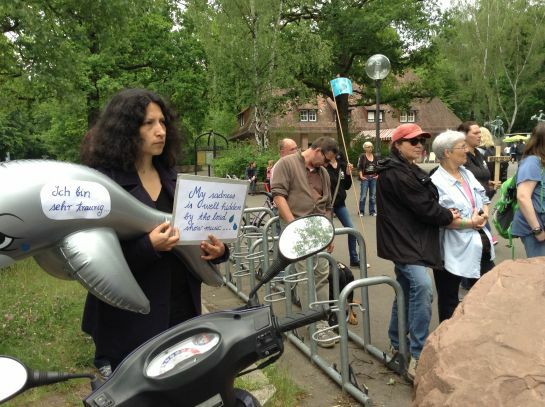 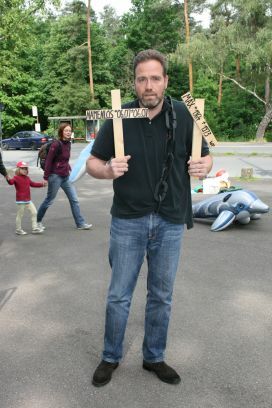 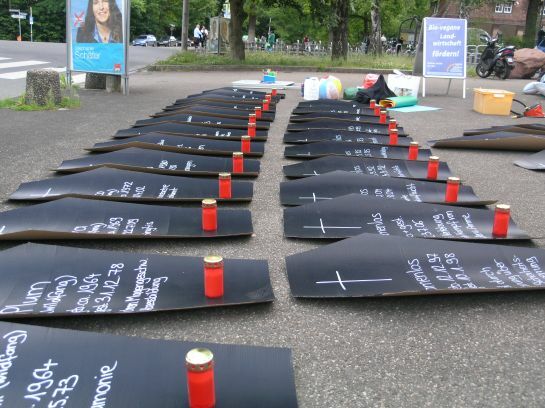 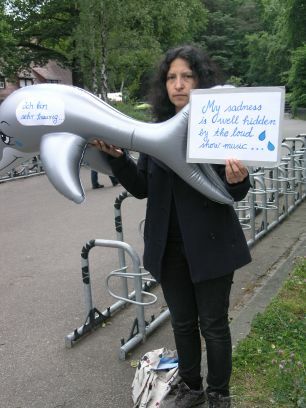 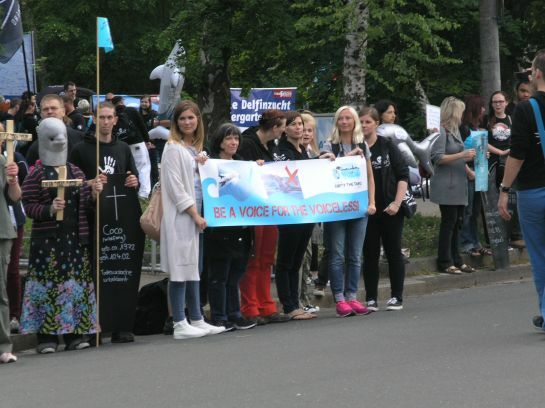 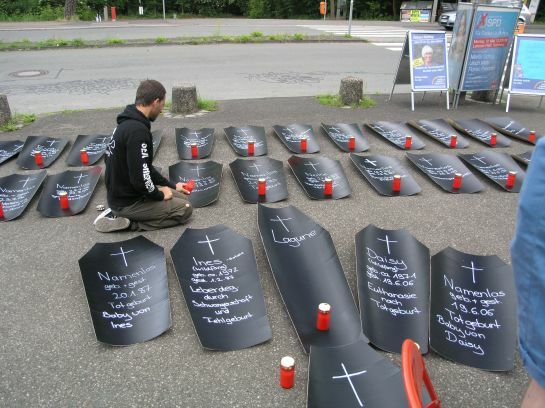 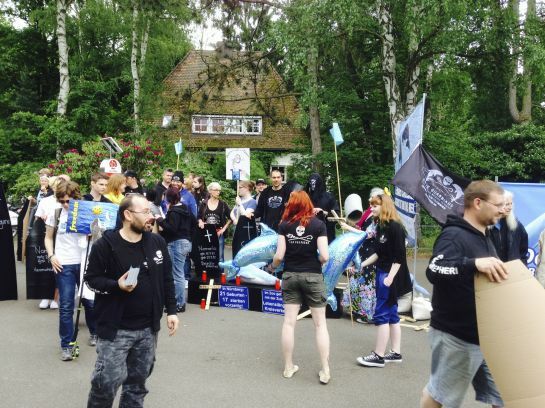 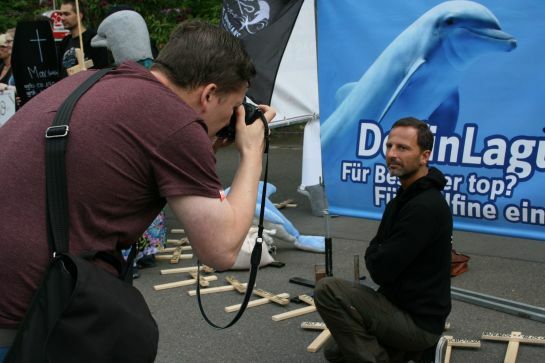 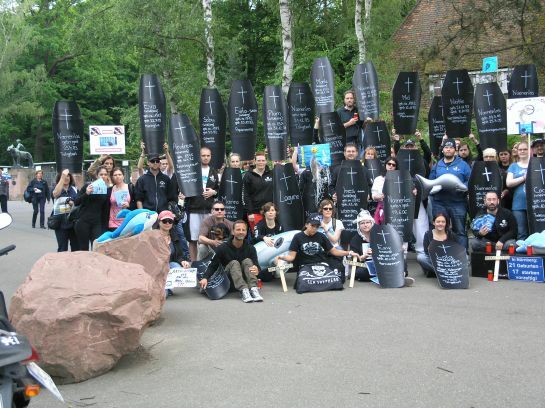 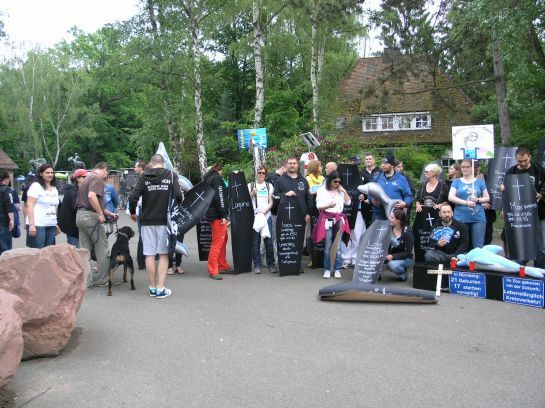 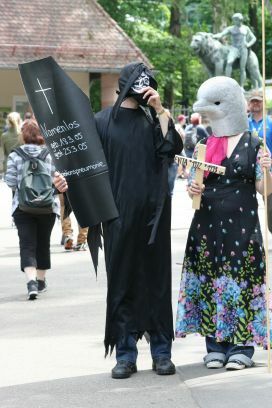 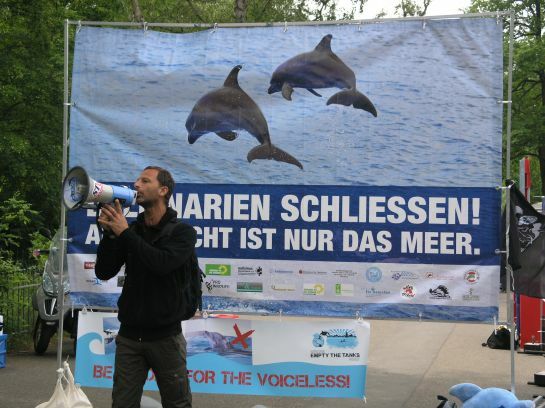 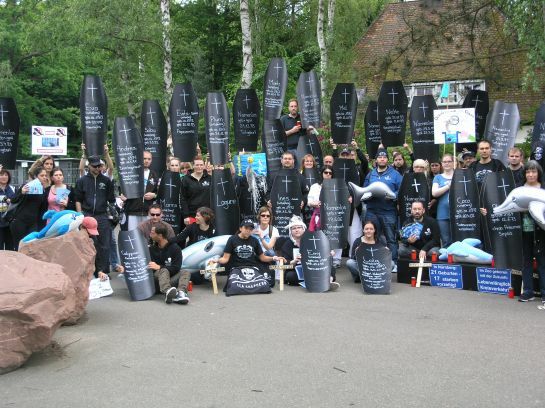 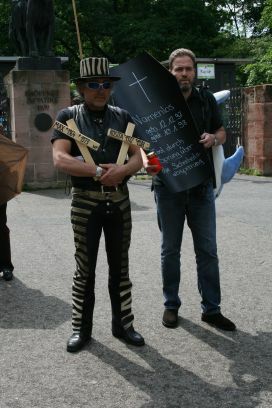 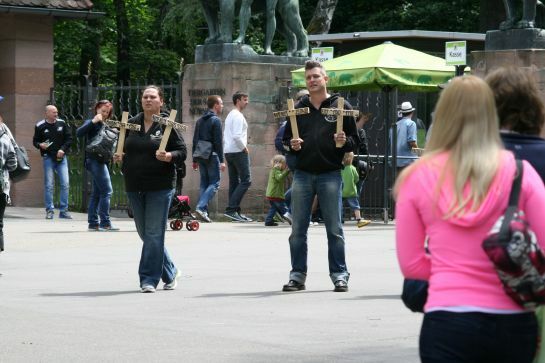 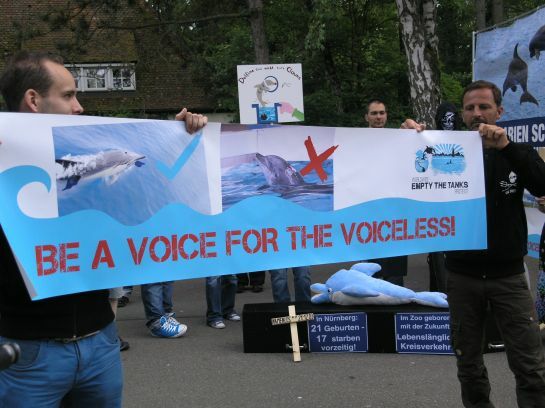 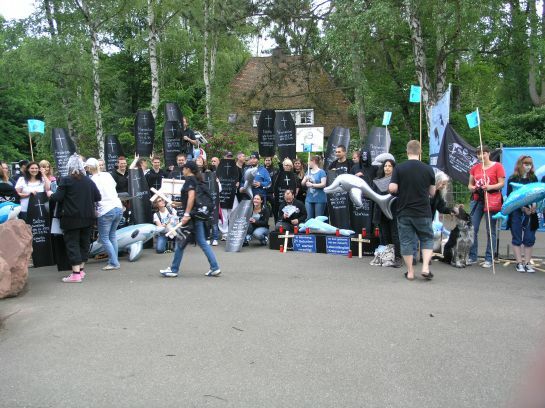 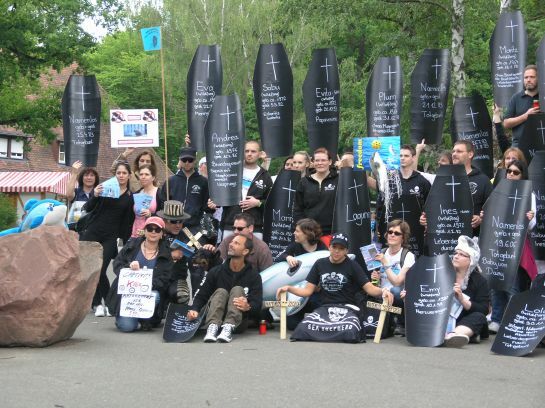 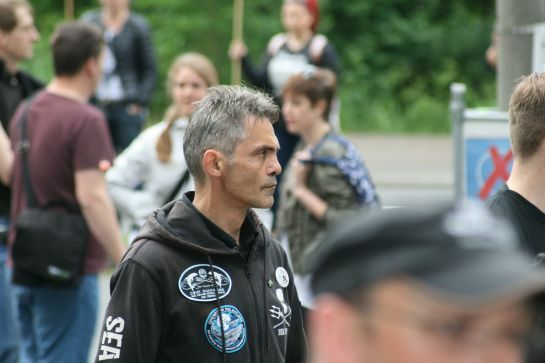 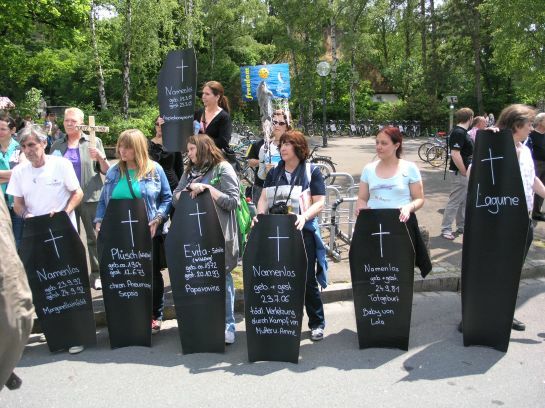 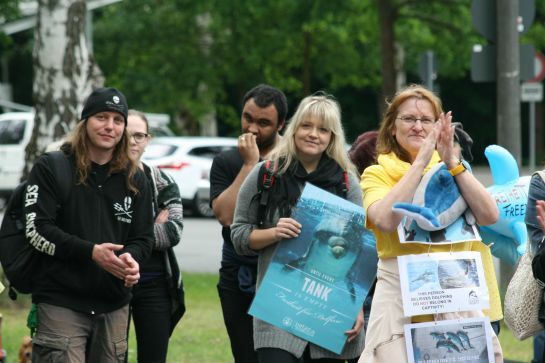 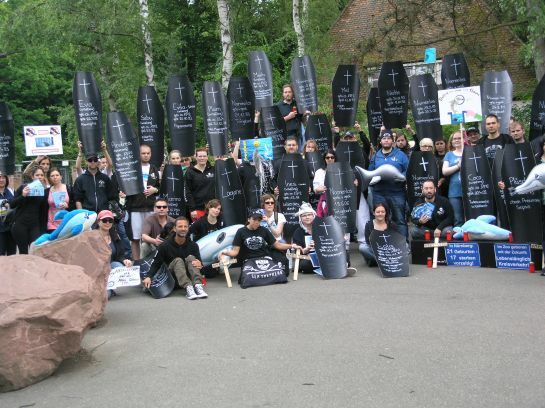 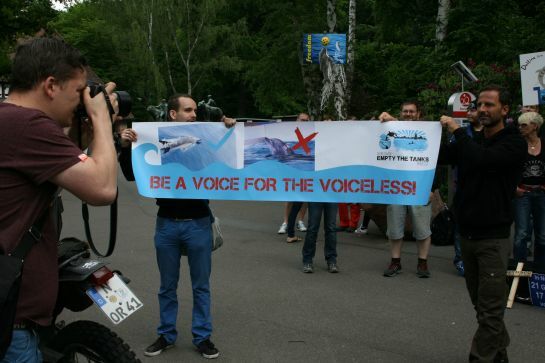 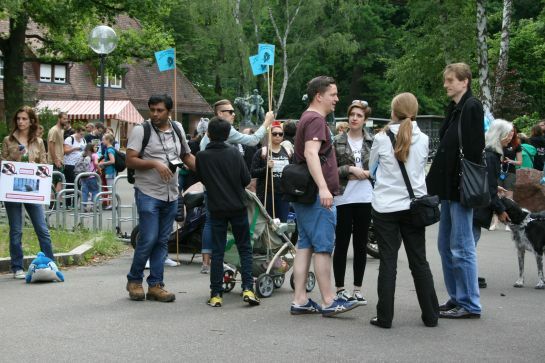 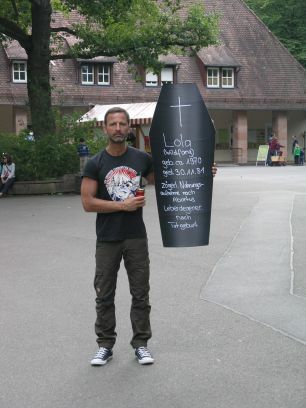 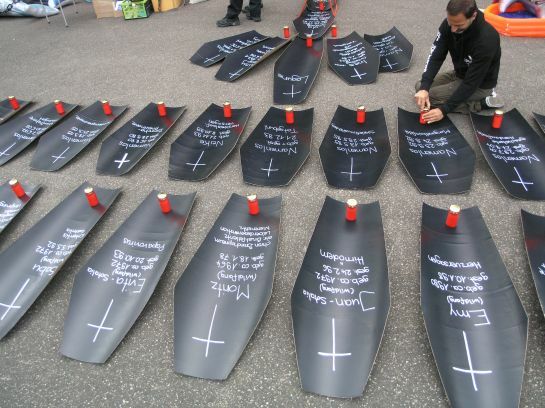 On 24th May 2014 between 11:00 – 15:00 CET Empty the Tanks worldwide campagne also took place @Tiergarten Nuremberg / Germany. 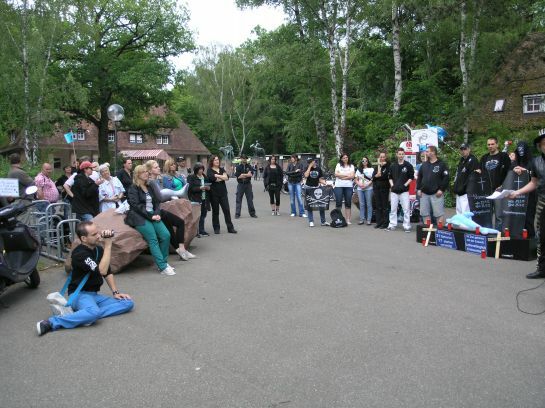 As the organizer of this event, I tried to „recruit“ as many dedicated animal activists as possible and at the peak we had 278 applications via facebook. 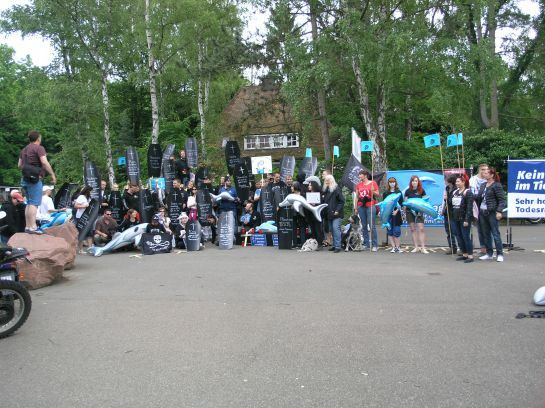 Finally approx. 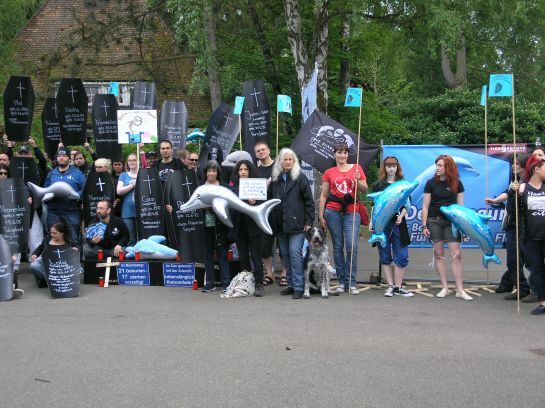 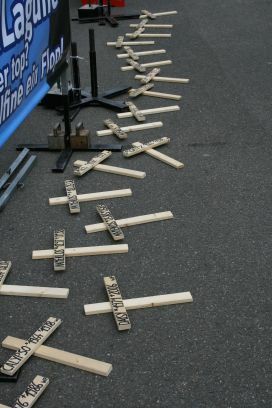 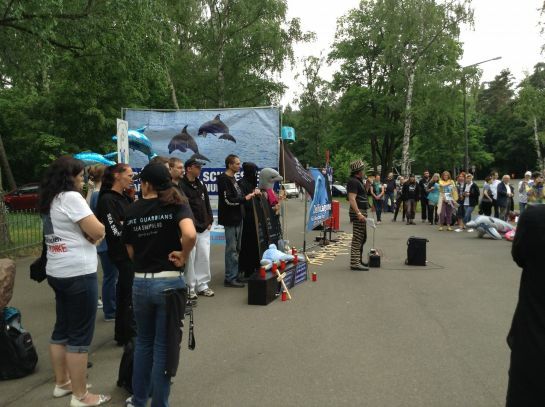 a bunch of 125 passionate dolphin activists were on the ground! 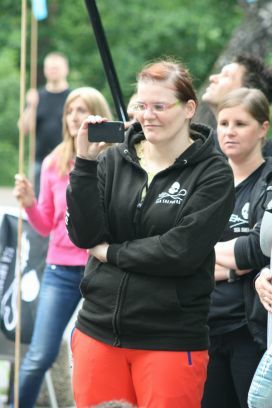 Everything was quite peaceful, but we tried to be „loud“ and also got quite some media coverage … please see the images to get an impression of what was going on!